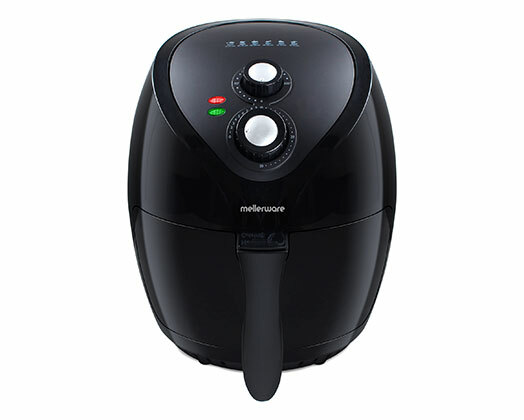 Home Products Mellerware Air Fryer With Timer Manual Plastic Black 2.6L 1400W "Vitality"
Mellerware Air Fryer With Timer Manual Plastic Black 2.6L 1400W "Vitality"
The Mellerware Vitality Air Fryer only needs a small amount of oil making it a healthy option to cook a variety of great tasting foods. The product has a 2.6l capacity and a 30 minute timer. The Vitality air fryer also has variable temperature settings ranging from 80-200 degrees.